FORT WORTH, Texas – Oct. 3, 2018 – It’s a big day for film and music artists who help bring visitors to the city. Visit Fort Worth and its affiliate Hear Fort Worth announce several initiatives, including travel grants and a recording opportunity with nationally-recognized studio Niles City Sound, to help local musicians develop their talent and reach more people.Visit Fort Worth also celebrated the third anniversary of the Fort Worth Film Commission, which has assisted hundreds of local film projects and supported several nationally noted films. Assisted more than 500 projects in the first three years. Secured filming for The Old Man & The Gun, starring Robert Redford, Sissy Spacek and Casey Affleck. Secured filming for Miss Juneteenth, a project under development by Fort Worth’s Channing Godfrey Peoples, named one of 25 filmmakers to watch by Filmmaker Magazine. Secured filming for Never Goin’ Back by DFW’s Augustine Frizzell, which premiered at the Sundance Film Festival 2018. 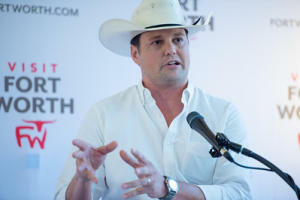 Visit Fort Worth is the city’s destination marketing organization. In 2017 the city welcomed a record 9.1 million visitors, supporting more than 23,000 jobs and delivering a $2.4 billion economic impact.